Jake loved trains. 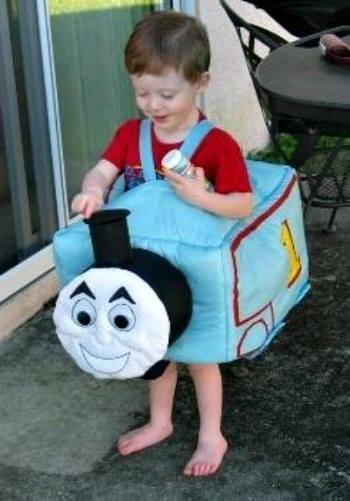 As his mother Patty put it, “Thomas the Tank Engine was his right hand man. He was a train fanatic.” The trains at Walt Disney World were no exception. “They were his jam,“ said Patty. “He loved to ride the trains there.” It was this love of trains that would later provide Patty comfort during a trying time of life. Patty was born in southern California, and has early memories of frequenting Disneyland. When friends or family came into town, she noted, Disneyland was often the destination, as it still is for many SoCal tourists. When the family moved to Texas, the frequent Disney trips stopped, but Patty was still a “Disney girl” at heart. As fate would have it, Patty met and married a fellow Disney fan, and after ten years in the Army, her husband was choosing between two different civilian jobs: one in Pennsylvania, and the other in Orlando. As Patty put it, “Disney World… or snow?” The answer was an easy one. Patty had always dreamed of being able to visit Walt Disney World on any given day; this move would give her the opportunity to do so with her two young boys, Jacob and Luke. Patty took the opportunity to visit Walt Disney World often, many times meeting up with friends for playdates in the park. As stated before, Jake was a huge fan of the train, riding it every opportunity he got. In addition to the train, they spent a lot of their time in Fantasyland, with one notable exception: Jake hated the Winnie the Pooh ride. “Absolutely hated it,” recalls Patty. “The Heffalumps and Woozles were just too much for him.” Obviously, the Pooh ride was one they didn’t ride as much. Nonetheless, they all enjoyed their many playdates at Walt Disney World. 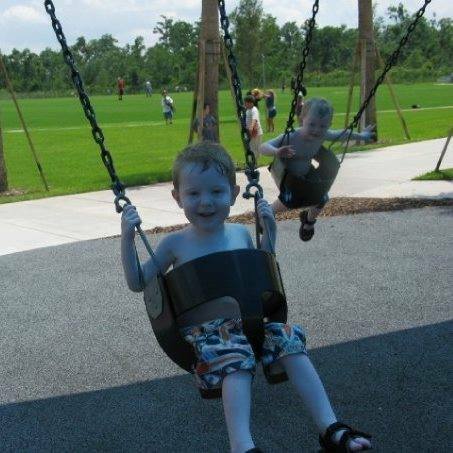 Jake was also a heart transplant recipient; sadly, he passed away at the very young age of four. After his passing, Patty and her family moved back to Texas to be nearer to family, namely her mom, as they recovered from the heartbreaking loss of their oldest child. The chance for daily visits to Walt Disney World were no longer an option, but Patty still remembered those opportunities with great fondness, and the park remained very dear to her. After this trip, Patty started running. She became very involved in participating in RunDisney races, as this was a way to get back to Walt Disney World on a regular basis; to visit a place where she felt home, where she could remember Jake. Over ten years later, “I still have that same feeling every time I walk into the park. I have that feeling every single time I get on the train, and I always get on the train at Disney World and take a trip around, and think about him.” She rides for Jake. She rides with him. That’s the beauty of Disney. So many memories are created in visits to a Disney resort, through singing along with a favorite Disney song, in watching the latest animated feature release with the family. These memories last a lifetime, and many last beyond that. They help us to remember with fondness the people we love – even after they have left us. Thank you, Patty, for the honor of allowing Confessions to share your story. Patty is a mom, wife and blogger. Make sure to visit her wonderful and inspiring blog, No Guilt Life for great posts on wellness, running, being a mom, and of course, Disney! Do you have a “Disney story” you’d like to share? Confessions of a DisNerd would like to hear from you! For more information, please contact us at COADisNerd@cox.net or send a direct message through our Facebook page. This entry was posted in DisNerd Vacations, General DisNerdom and tagged Disney, Trains, Walt Disney World. Bookmark the permalink.